My sketches from ground level to the sky. Zoom sketch here. Seattle Urban Sketchers met at 2:30pm. 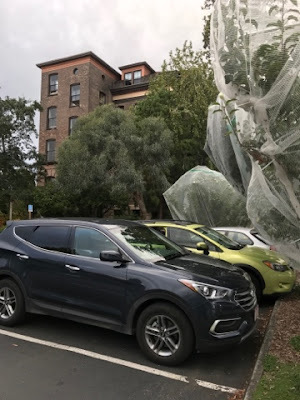 for an early autumn sketch crawl on Saturday afternoon, Sept. 22, 2018. 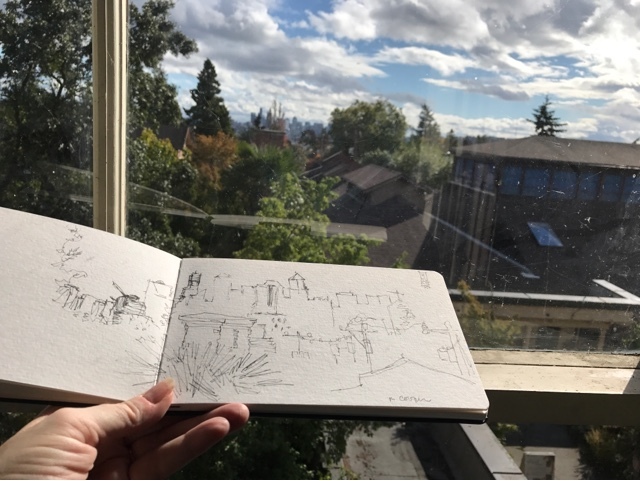 I was fortunate to be at this location already, having just finished teaching an urban sketching workshop for beginners through Historic Seattle. I had a view of the Seattle skyline from a third story window in a stairwell of the Good Shepherd Center. 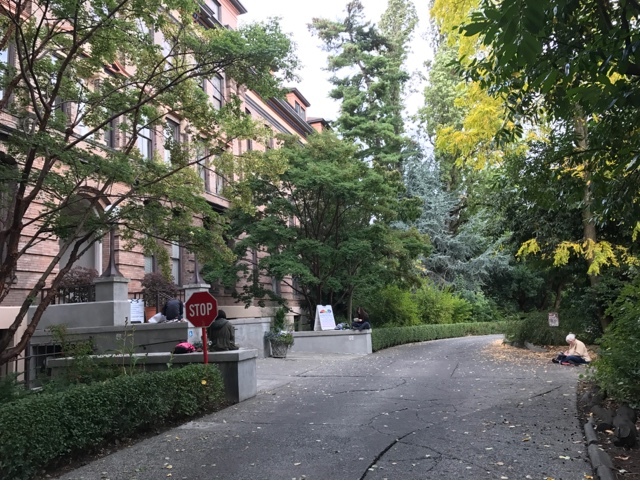 Fall colors were beginning to show amongst the greenery of the "Emerald City". I watched the storm clouds blow in over old brick chimney stacks and power lines strung with vintage glass insulators. The 100 year old apple trees on the property stood shrouded in nets as this year's crop ripened for imminent harvest. Kate chose the beautiful facade and arched entryway, along with other sketchers. After a slow start, our group grew sizably and we had a great collection of sketches at the throwdown from artists age 3 to over 70. See Kate's and Tina's accounts of this event. I couldn't resist one last sketch in the parking lot before driving home. The apples were very tempting! 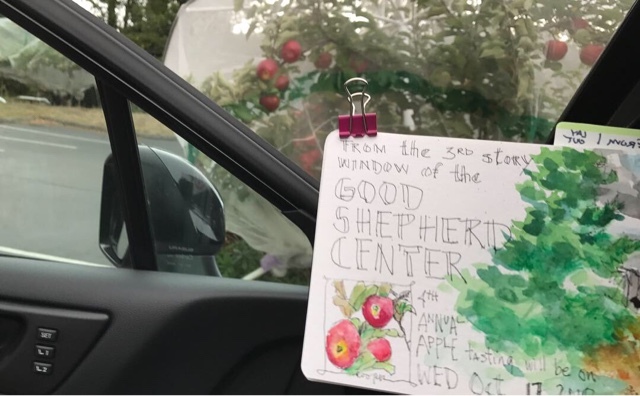 On Wednesday, October 17, the Good Shepherd Center will have it's 4th Annual Apple Tasting with support from City Fruit. Tables will be set up at the south end of the main building and visitors may taste these heirloom apples for free. There will be homemade apple pies and more available.